How can we help you to complete your project efficiently on time and at the agreed price? 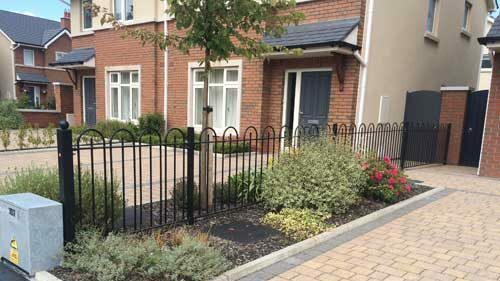 The most experienced Fencing Contractor in Ireland with a track record over 45 years. Full Integrated manufacturing and installation processes giving full flexibility and efficiency. Fully Certified processes to give quality assurance and confirmation of conformity. We work with Contractors, Architects, Engineers and End Clients to provide Value Engineered competitive solutions to design or onsite issues to ensure that contracts are completed in a cost effective manner. select your project type below. Whether you are refurbishing a one-off property or developing or designing multiple units operating in the private or social sector we have the experience and products to suit. Using the most up to date installation methods and as the product manufacturer with full certification, we bring flexibility to your project large or small. We are CIRI Registered Number 150133. So please contact us at the early design stages to take advantage of the latest designs and ideas. We have been involved in most of the major infrastructural projects in Ireland for nearly half a century working directly for utilities, local authorities and Government sectors directly or through main contractors. so we have a track record! 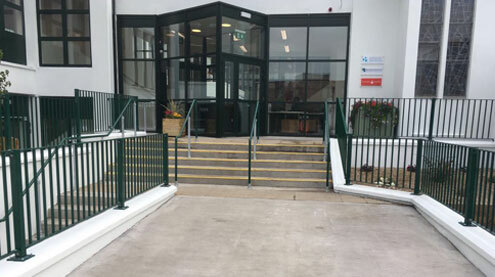 As well as many specialised works for Public and Government bodies, our range of products are made in Ireland giving flexibility in product design and installation programme. Our skilled installation teams and our attention to the Health and Safety and sign off requirements and certification required for these projects is second to none. 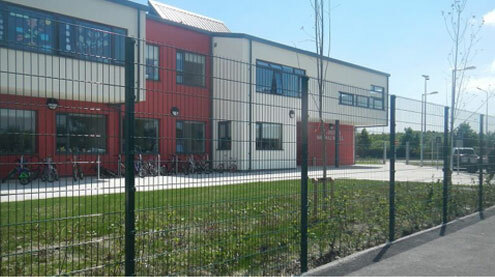 Irish Fencing Services have the right products and competitive pricing together with a huge experience of the special requirements of the education sector in their procurement, health and safety and product certification requirements. Early contact with any of our offices can assist you in selecting the most appropriate and cost-effective product and installation procedure for your project. 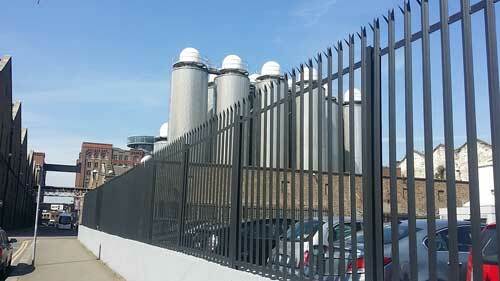 We have provided Fences, Gates and Railings as well as integrated electrical perimeter protection to Industrial and commercial projects in every county in Ireland. Carried out for multinational and local companies directly or as part of construction contracts, we can manage many associated site works to provide a one stop solution. As a local manufacturer we bring products tried and proven in the Irish market and offer cost effective quality solutions. This section gives specifiers and end users the opportunity to look at projects which may be similar to the one you are planning it gives named projects where you can see our work and get information on our performance on the contract. We are proud to be CIRI and Safe-T Cert accredited members. Founder Members of ISME and of Guaranteed Irish. We recognise that operating in a responsible manner is paramount to the continued growth of our organisation’s reputation, quality and reliability. We value our clients, our employees, the environment and place the utmost importance on quality and safety within our work place operations.